One of our blogging brothers would be leaving for Medinah tonight via KLIA, on Tabung Haji chartered flight designated as KT34. He is one those ‘chosen’ for this year’s Hajj pilgrimage. Along with 28,000 other Malaysians, we wish him well. Have a good and mabrur hajj. Prime Minister Dato Seri Mohd. Najib Tun Razak and his darling wife also expected to leave on 1 November for this season’s Hajj pilgrimage too. So to the speculation that since the ‘Election Budget’ is very well received and thus 13th general election could be called sometime in November is highly unlikely. Right after his return from Saudi, he is expected to attend Asia Pacific Economic Council (APEC), which would be held in Hawaii sometime mid December. Labbaik Allahumma Labbaik. Labbaik, La Shareek Laka, Labbaik. Innal Hamdah, Wan Nematah, Laka wal Mulk, La Shareek Laka Labbaik. Anonymous but prolific blogger A Voice of Another Brick in the Wall has just checked in at Tabung Haji Complex, Kelana Jaya. He would be between Jeddah-Medinah-Mekkah-Jeddah for the next 45 days. The challenge for him is that he arrived in Saudi 26 days ahead of the wuquf. 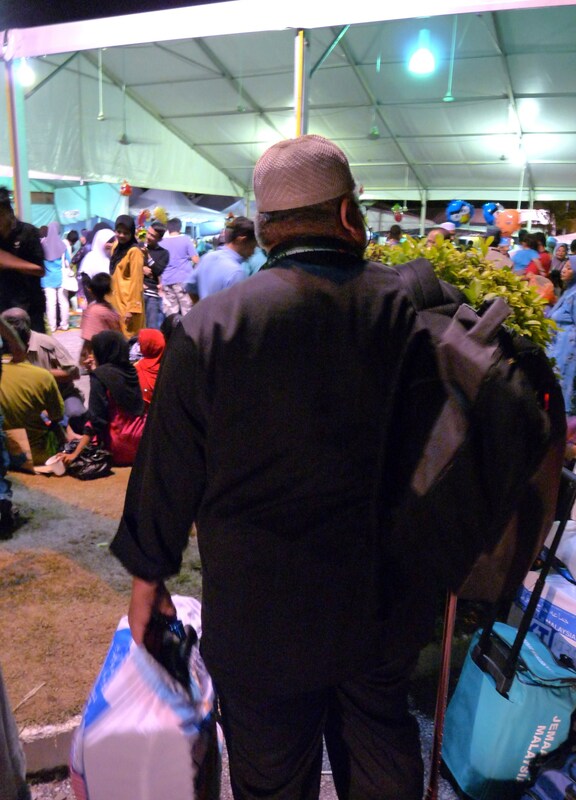 A Hajj first timer, he said he would blog whenever the opportunity arises from the Holy Land. We wish him, his immediate party and all Malaysians for this Zulhijjah’s season a mabrur Hajj. selamat pergi dan kembali kepada saudara2 kita yang akan ke tanah suci, terutama pada Jib, Ros dan juga Din serta keluarga. Ko bila lagi Dog? didaoakan semoga mendapat haji mabrur kpd Mao, isteri dan jemaah M’sia yg lain. bila jemputan untuk tuan bigdog pula ya..
Sekiranya doa diterima dan rezeki ada, akan sampai hamba untuk mengerjakan rukun kelima.